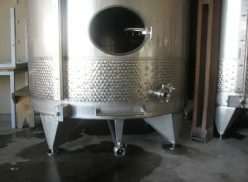 Different tank valves can be used to mix wines for smaller blends. The perception of the ordinary wine consumer and winemakers differs considerably with regard to blends. While the consumer often sees it as wines that are made from different varietal wines and a specific cultivar designation cannot be attributed to it, practical wine blends do not associate with this perception and wine blends can also be made of the same cultivar wines, for example different barrel-made Chardonnays. The winemaker rather prefers to blend the different characteristics of different wines in such a way that it is complementary and the individual characteristics of the blending components are improved by it. The terms “blend” and “mix” of wines are often confused although a connection exists between the two verbs. To blend a wine the components must be mixed, but all mixed wines are not necessarily blends. 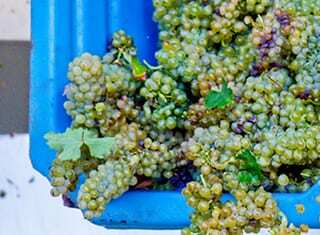 When wines are for example mixed to prevent ullage in containers, the motivation for the process is not to prepare a blend, but rather to prevent air contact and potential consequential oxidation. The three most important reasons for blends are the minimising of costs, the improvement in the quality of the final blend and the limitation of variation in the style and quality of different vintages and also within different lots of the same vintage. In the case of premium wines the cost factor is not so important, but in the case of low price wines it can be critical if the cheaper wine is compatible with the blend. 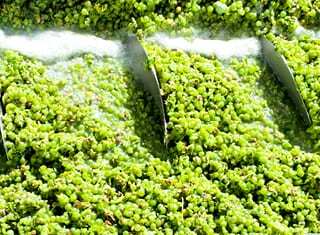 Apart from single vineyard or clone wines, blends usually consist of different cultivars, clones or vineyards. 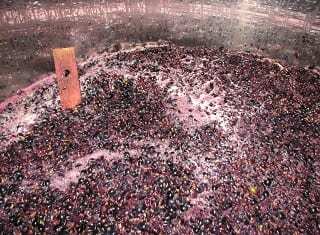 Even when a Cabernet Sauvignon is for example sold as such cultivar (in the most countries at least 85% of a specific cultivar must be made from that cultivar if it is sold as a single cultivar wine), low percentages of Merlot, Cabernet Franc, Petit Verdot, Malbec, Tannat, Carmenere or Carignan can be used to great advantage in such blends. In order to maintain a constant style, the composition of the different components may determine what will be obtained. Tannat and Petit Verdot will for example contribute more body, Carignan more red fruit character, Barbera more acid, Shiraz and Zinfandel more black fruit and Mourvèdre more tobacco character to a blend. Wine blends can be prepared at different stages during winemaking. The earliest possibility is when a vineyard consisting of different blocks with different cultivars are harvested together. This will be known as a vineyard blend. This is however only possible if sufficient historical information is available to justify such a blend. A next possible stage is as early as possible after the completion of the alcoholic fermentation, but before the completion of malolactic fermentation (MLF). The motivation for such a blend is that enough time is allowed to integrate the different blending components. Another advantage of it is the microbiological stabilisation and maturation of the entire blend. Winemakers who prefer this stage must be able to predict how such a blend will appear after bottling. The last stage of potential blends is the finishing of the different components before they are mixed. It is however preferred to stabilise the final blend instead of the different components, because the blend will not necessarily be stable if the different components were stable. Such blend can be seen as a bottling blend, because stabilisation and final filtration prior to bottling are the only winemaking processes that are applied to the blend and it is consequently easier to predict how the bottling blend will appear. Philips, C., 2017. Blending: Science, craft or black art? Wine Business Monthly, October 2017: 30 – 35. Philips, C., 2017. Blending tanks, mixing tanks, bottling tanks. Wine Business Monthly, November 2017: 16 – 20.